The Somerville Board of Aldermen unanimously approved on Sept. 13 a resolution pledging support to the Yes on 3 coalition, a group of Massachusetts businesses, non-profits and other entities that encourages state voters to vote in favor of protections for transgender people in Massachusetts. The Yes on 3 coalition’s focus is the namesake Question 3 on the upcoming 2018 general election ballot. Question 3 asks voters if they support a 2016 amendment to the Massachusetts Public Accommodations Law. The amendment “adds gender identity to the list of prohibited grounds for discrimination in places of public accommodation, resort, or amusement,” according to the Massachusetts Secretary of State’s website. Somerville Alderman Lance Davis, representing Ward 6, said that he brought the resolution before the Board. He also noted that at the time the 2016 amendment was being passed, he introduced a similar resolution to the Board in support of the amendment. Davis said that from the time the 2016 amendment was passed, it was evident that a question to repeal it would be put on the ballot. He expressed disappointment that Massachusetts residents could be opposed to the amendment. “That’s not who we are as a city or a state,” Davis said. Ward 3 Alderman Ben Ewen-Campen echoed Davis’ statement. “I think this directly goes […] against everything we stand for [in Massachusetts],” he said. Ewen-Campen added that early polling data on the question caused him and Yes on 3 organizers to be more proactive in trying to get out the vote. A MassINC Polling Group and WBUR poll from May showed only 32 percent of voters supported the yes vote. MassINC Polling Group and WBUR’s latest poll, from late September, showed 71 percent of voters support yes. The newly approved resolution describes the history of laws in both Massachusetts and Somerville protecting people based on gender identity and expression. “The Somerville Board of Aldermen has long demonstrated leadership on the issue of transgender equality, amending, in May of 2014, the city’s non-discrimination ordinance to include gender identity and expression,” the resolution reads. Somerville was the sixth municipality to approve such legislation, according to the document. The resolution indicates its position in support of a yes vote on Question 3. “Repeal of those provisions of the Massachusetts Public Accommodations Law would be contrary to the values and principles that the City of Somerville has long espoused and that we are sworn to uphold,” the resolution reads. The Board of Aldermen also expressed opposition to any effort to restrict peoples’ rights based on gender identity or expression, according to the resolution. Davis explained that a resolution is mostly an expression of an opinion, adding that the Board of Aldermen has limited legal authority on such matters. “Voters are always entitled to vote how they feel,” he said. However, Davis said that the wording of the legislation encourages some action by the aldermen themselves. Davis pointed out how the resolution binds the alderman to vote yes on election day. “The members of this Board do hereby pledge to sign on to the ‘Yes on 3 [coalition]’ organized by Freedom for All Massachusetts,” the resolution states. Both Ewen-Campen and Davis said that they each took action to support the Yes on 3 coalition beyond the vote within the Board of Aldermen. Ewen-Campen said that he canvassed and spoke to his individual constituents regarding the Yes on 3 campaign, encouraging them to get involved on a grassroots level. He also said that he and all of the other aldermen would participate in local events, such as last weekend’s Honk! Festival in Davis Square. Martina Tan, who has an active leadership role in campaigning and organizing for Yes on 3 on campus, expressed her comfort in knowing that Somerville supports the amendment and campaign. 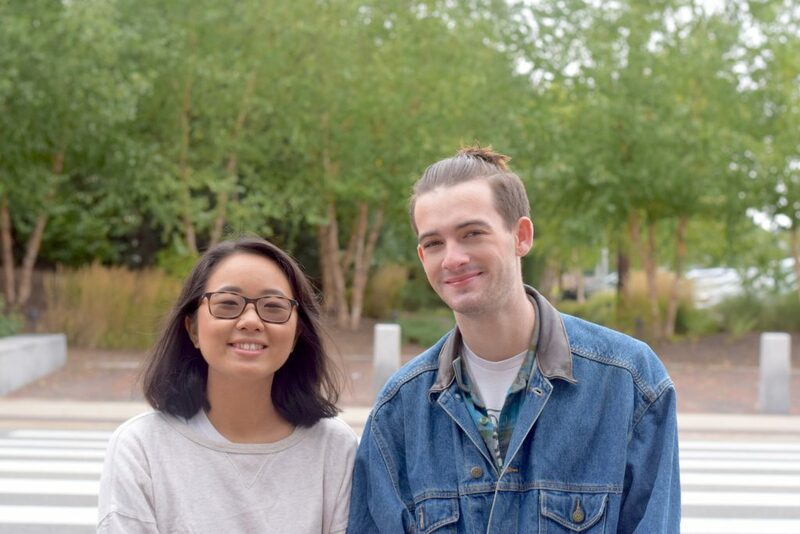 “Higher levels of government sometimes seem so distant from matters that concern the general public and I like the idea that our campus’ city council is at least able to acknowledge this issue,” Tan, a junior, told the Daily in an email. However, Tan expressed some skepticism as to how the resolution would affect the vote itself. “It’s a nice gesture but there’s still a lot of work to do,” Tan said. Tan added that she hopes people will be motivated to learn more about the ballot question and sign up for volunteer action. “There are always more voters we can talk to and active volunteers we can garner to make sure this is as far from a close vote as possible,” she said.